Appropriately on St Andrew's Day, the government have published the new Scotland bill which will devolve further powers. The bill follows the Calman Commission of 2009 which put forward a series of recommendations about further devolution. These include the power to set new income tax rates from 2015, new borrowing powers and control over issues such as the speed limit and drink-driving. Agreed by the Conservatives, Labour and the Liberal Democrats, the SNP unsurprisingly do not think it goes far enough and view it as a 'missed opportunity'. 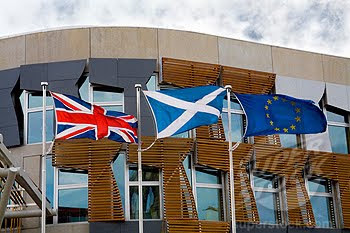 With Scottish elections next year, the three national parties will be hoping that it will appease those in Scotland wanting more power without encouraging further such demands from the SNP. What do you think? Julian Assange's Wikileaks (blocked at school) have gained access to over 250,000 diplomatic documents sent from the USA's embassies back to the State Department. They haven't published them in full on the internet this time, as they have often done in the past. Instead, they have given access to selected newspapers including The Guardian and The New York Times. Highly confidential information is therefore now out in the open, such as reports that the Saudi government urged the US to invade Iran, and that the Chinese government officially approved a cyber-attack on Google. It will take some time to process these reports and analyse their importance. Hillary Clinton had begun apologising over the weekend even before the reports were published. PS: Here is further comment on the impact of Wikileaks for historians - from an American perspective. 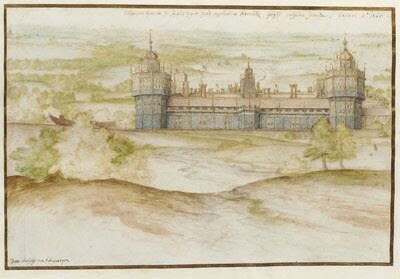 Work began on the palace in 1538, with Henry VIII keen to copy some of his French rival Francis I's palaces. It wasn't completed in his lifetime, and his successors did not have the funds to maintain it properly. The London Historian's Blog describes it as a "white elephant which nonetheless must have been magnificent to behold." Korea is in the news again this week, after the North Koreans shelled the South Korean island of Yeonpyeong, killing four people and causing substantial damage. It has led to a considerable increase of tension on both sides and the threat of further conflict in the near future. These BBC articles examine why tensions are so high along the border, and why, as leader Kim Jong Il prepares for his son Kim Jong Un to take over, they might be escalating now. The video shown above provides some historical perspective, interviewing a Chinese soldier, Wang Xinshan, who explains why he and his country felt so threatened at the time of the Korean War, and why China chose to intervene. A historian, Barbara Demick, meanwhile explains how ever since North Korean life has been completely dominated by the legacy of the war, with all of its citizens trained to believe that South Korea and its allies were fully responsible and might invade again with the smallest provocation. PS: Here is an article with British soldiers' memories of their experiences in the Korean conflict. PS: There is no official comment on the incident yet from North Korea's news agency. Here is a leading foreign policy blog's opinion on why this is the case. Today is Thanksgiving in the USA, and President Obama has marked it by traditionally "pardoning" a turkey (called Apple) and handing out food supplies at a local Washington charity. The day's origins come from 1621, when the surviving pilgrims from the Mayflower, half of whom had died during the winter from exposure or disease, shared a celebratory feast with the local Wampanoag tribe to acknowledge the successful harvest of their corn. The pilgrims had survived partly due to the help of Squanto, a Native American who had been kidnapped and sold into slavery before escaping to London and then back to America. He spoke perfect English and advised the pilgrims how to cultivate their crops and find food in the local environment. 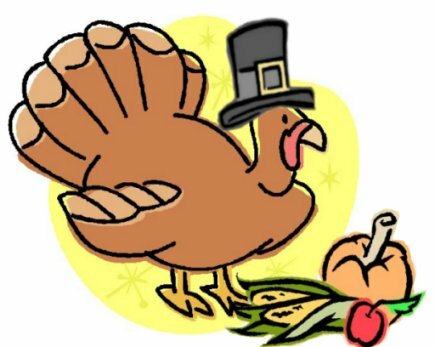 The thanksgiving story caught the imagination of other settlers, and by the time of the Revolution most states held a day of thanksgiving, albeit on different dates. In 1827, Sarah Josepha Hale (also author of the Nursery Rhyme "Mary had a little lamb" organised a campaign for a national holiday, and in 1863 Abraham Lincoln granted her request at the height of the Civil War, scheduling it for the last Thursday in November. Thanksgiving remains the most traditional and family-orientated of America's holidays, one separated from any religious affiliations so that it can be enjoyed by all...except the turkeys. 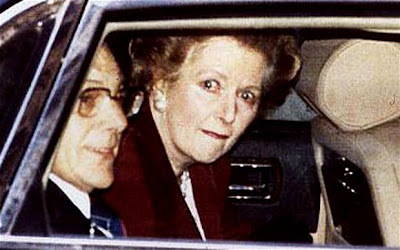 Today is the 20th anniversary of Margaret Thatcher's resignation as Prime Minister. A controversial figure still today, she was nevertheless Britain's first and only woman Prime Minister, one of the longest serving prime ministers of the twentieth century and an important leader of political change. For those for whom this seems a long time ago, here are a few reminders of her resignation and her premiership as a whole: here is the BBC's On This Day article with some clips, the Telegraph's view and the New Stateman's selection of different views. Do you have any views on Margaret Thatcher? Is she an inspiration to budding female politicians or an example of how not to be a woman in politics? Andrew Marr has written an article and will be presenting a programme on Sunday to mark the 50th anniversary of John F Kennedy's successful presidential campaign. Kennedy has become iconic because of his youth, great speeches and tragic early death. Marr argues that if you study his campaign closely, the truth is rather more murky. Kennedy's political team (which included Ted Sorensen, who died recently) pulled every trick they could in order to secure victory. "It is a tale of soaring and risk-taking rhetoric..." writes Marr, "but also big money, smears, bribes, wire-pulling and bottomless cynicism." Marr believes this set the template for the modern political campaign, linked very clearly to the rapidly- developing world of advertising and PR as seen in "Mad Men". The most well known aspect of the campaign was the television debates (which we have blogged about before). One interesting fact was that Kennedy asked for a "comfort break" with a minute to go before transmission, and only reappeared with seconds to go. This clearly unsettled his opponent, Richard Nixon, who went on to deliver a rather flustered and unsteady performance. Let us know what you think of the programme. A rather belated post about Nobel prize winner Aung San Suu Kyi's release by the military junta last Saturday. Under house arrest for seven years, Suu Kyi is the leader of the pro-democracy party in Burma, the National League for Democracy. The party overwhelmingly won elections in 1990 but was prevented from taking power by the junta who continued its military dictatorship. Following the recent elections in Burma, widely criticised for not being free or fair, the NLD leader is now free but for how much longer and will her release really change Burma? Here is her interview with John Simpson and here some more information about the elections and the situation in Burma. For some more discussion on Burma's history, see Laurence Rees's blog. Nonsuch HP is of course delighted by the news that Prince William and Kate Middleton will get married next year. It has been noted that Kate is the first woman of a non-aristocratic background (or, as The Guardian put it, a "commoner") since Anne Hyde, who married James II in 1660. Her story is certainly very interesting. Anne's father was an adviser to James' brother Charles while the family was in exile during the protectorate. Anne was maid of honour to James' sister, Mary and it is said that James seduced her and was then forced to marry her (possibly in a secret ceremony in 1659, a year earlier than the official marriage). 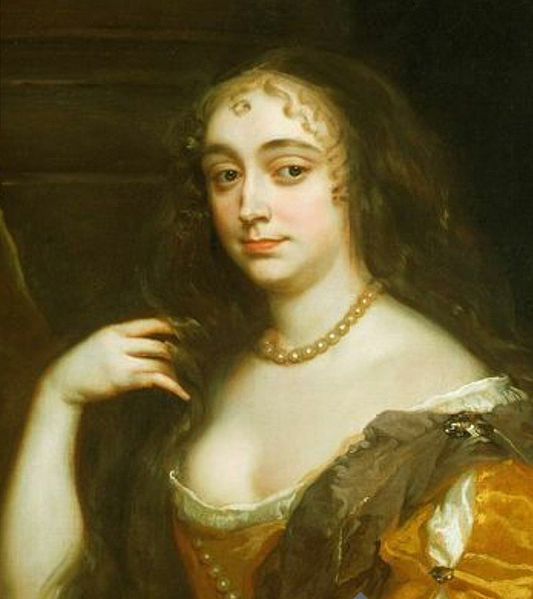 She was described as "plain" by Samuel Pepys, but the French ambassador considered her to have the "courage, cleverness and energy almost worthy of a King's blood." She had 8 children, but only 2 daughters survived past infancy - Mary and Anne, and she died 7 weeks after Anne's birth, aged 33, in 1671. She converted to Catholicism before her death, and probably influenced her husband to eventually do the same. 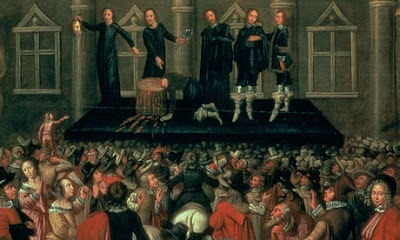 His conversion led to the Glorious Revolution of 1688, when he was replaced by William of Orange, ruling jointly with his wife Mary, Charles and Anne's daughter. 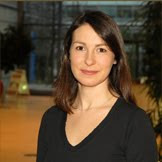 Kate Rea will be speaking at the Nonsuch HP society today (1.15 in the Library). She is a historical researcher and has also been involved in the production of documentaries such as "World War 2: Behind Closed Doors" (more details here). She has been closely involved in the creation of WW2History.com, recording much of the eye-witness testimony for the site. She read Russian and Russian History at Cambridge and will be speaking in particular about her interest in that subject today. Everyone is welcome to attend. For those mourning the loss of Downton Abbey, Garrow's Law is a great replacement. 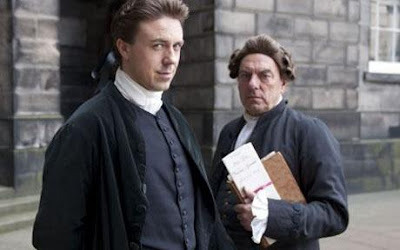 Set in 18th century London, it tells the tale of William Garrow, a pioneering barrister at the Old Bailey, and his defence of various unsavoury cases. Before the opening up of the Old Bailey's archives Garrow was little known even among the legal community. This series uses these archives to explore his character and the developments that were made in the legal profession by him at the end of the 18th century. Last night's episode dealt with the case of the Zong slave ship: 'When 133 African prisoners are thrown overboard from a slave ship in suspicious circumstances, Garrow challenges the brutal trade that regards slaves as cargo'. Although a real case, Garrow did not actually take this particular case on but he was a campaigner against the slave trade. How do writers of historical dramas reconcile fact with fiction? Tony Marchant, who wrote Garrow's Law, explains how he did it. 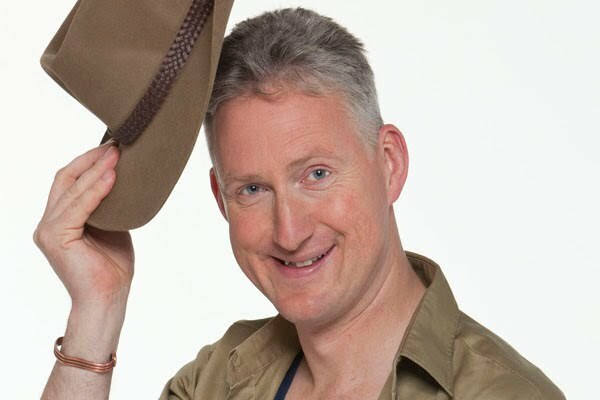 Ex-politician and friend of Nonsuch, Lembit Öpik has joined this year's crew for I'm a Celebrity Get Me Out of Here. You see his thoughts on this in this ITV video. He will be joined by, amongst others, Linford Christie, Stacey Solomon and "Dr" Gillian McKeith. How do we feel about this? Does he have the potential to be a winner? How will it affect his bid to be Mayor of London? Please let us know. Today is Armistice Day, or Remembrance Day as it is often known. At 11am (11.15 at Nonsuch) people will pause to reflect on the sacrifices made by British and Commonwealth soldiers (and the many civilians killed) in a century of conflicts. This year's ceremonies have a particular pertinence as the mark the 90th anniversary of the dedication of the Cenotaph, the country's official memorial to its war dead in Whitehall, and the Tomb of the Unknown Solider in Westminster Abbey. You can read more about how the soldier was selected and laid to rest in the abbey here and watch a short film about the Cenotaph, shown above. 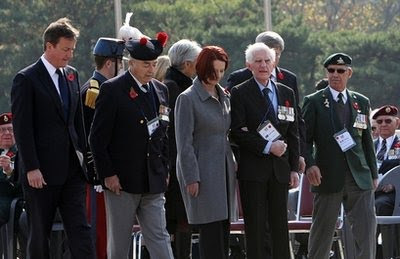 PS: David Cameron (shown above with Julia Gillard) has marked Armistice Day by visiting Gloster Valley in Korea, where he has laid a wreath to commemorate the sacrifices of British soldiers at the Battle of Imjin River (more archive material here) in the Korean War. Against vastly superior Chinese forces, the soldiers put up a strong resistance defending their position - 59 died and 526 were taken prisoner. This resistance delayed the Chinese advance, preventing them from outflanking the United Nations forces. The cemetery is a very moving, evocative place, and it is very appropriate that the Prime Minister was able to acknowledge the sacrifices that British soliders made during this largely "forgotten" war. Mrs Budden launched today Nonsuch HP's quest to find the most significant event, person or development from the previous decade. Above is the powerpoint with a few ideas, but please let us know your thoughts. What would be your choice, and have we missed anything out? PS: If you're not sure, here is plenty of material from the Guardian to help you, including reviews of the significant news events, politicians, films and music videos of the decade. PPS: If you're having trouble seeing the powerpoint, you can download it here. A programme about the Indian contribution to the two World Wars, focusing in particular on participation by Sikh soldiers was shown on BBC1 last night and is available on iPlayer. 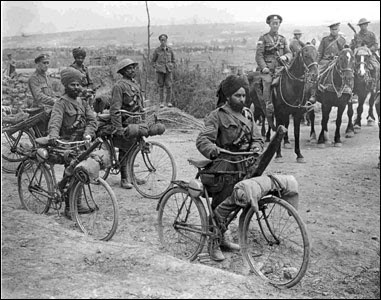 More soldiers from India fought in these wars for the Empire than the soldiers of Scotland, Wales and Ireland put together. It includes the last interview with World War 2 Squadron Leader Mahinder Singh Pujji, and the first television broadcast of a rare audio recording of a World War One Sikh prisoner of war, handed to Britain in 2010 after 94 years in German hands. It's about 30 minutes long, and well worth seeing. PS: Here is a further article about the Indian contribution to the Western Front in World War One. There are further fascinating photos like the one above here. This BBC article asks why the West (ie Western Europe and North America) was able to dominate politics and economics for the past two centuries, but may well now be losing its advantage to the economies of Asia such as China (which David Cameron is visiting this week) and India. 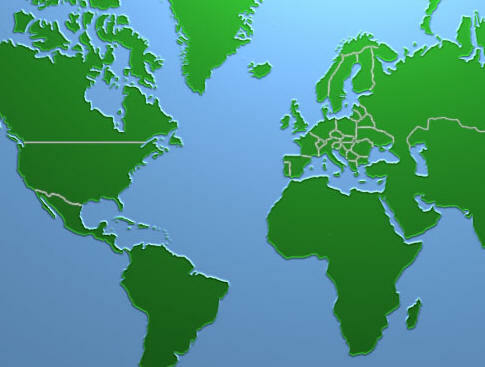 The answer, according to a theory by Ian Morris, of Stanford University, is geography, and in particular the Atlantic Ocean, which was "just the right size" for ships to cross and develop trade from the variety of regions around it. This increased trade created intense competition and imposed a scientific revolution, buoyed by Asian inventions such as gunpowder. Mechanisation and the Industrial Revolution followed, giving an immediate advantages to countries such as Great Britain which were able to use their naval power to build and maintain an empire. (You could also note that these were also the perfect conditions for encouraging the slave trade, which brought profits to England and America for almost 200 years.) Improvement in transport and communications has now reduced the impact of the Pacific Ocean's size, allowing the economies of the East to reassert themselves. The combination of History and Geography has been considered before when considering long term causes, such as the "Guns, Germs and Steel" theories of Jared Diamond and makes some uncomfortable that historical outcomes are inevitable because of factors beyond our control. What do you think? The historian Simon Schama, who is advising the government on revising the History Curriculum, has written this article in the Guardian about his vision for his vision for how British History should be taught in an increasingly globalised culture. "Even during the toughest trials it's our history that binds us together as a distinctive community in an otherwise generically globalised culture," he writes. "Mother Teresa and Lady Gaga are multinationals; Oliver Cromwell and Margaret Thatcher are peculiarly ours." Nonsuch covers the first four topics at Key Stage 3. Should we include the others? What other subjects do you think are essential for every child to know? The Nonsuch English Blog brought up Bush's imminent publication last week. Bush has now given an interview to NBC about his book which Mark Mardell has commented on in his blog. 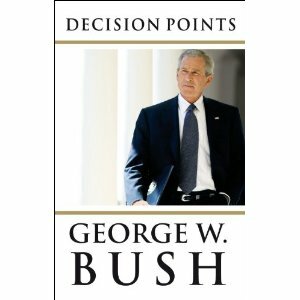 Bush has also released his own description of his book on Youtube. The book is released tomorrow - enjoy! ps for those upset by Obama's 'shellacking' by the voters last week in the mid-terms, Andrew Rawnsley had some more upbeat analysis of what it might mean for his chances in 2012. PPS: Here are some early reviews of Bush's book. BBC1 showed this evening a fascinating documentary using archive aerial photography from the First World War to show the extent of the destruction created by the conflict. Film footage from an airship showed in close detail how much damage had been wrought both on the battlefields and towns such as Ypres, which was totally devastated and yet still had people on the ground trying to make some sort of a living. The film also touched upon the efforts needed by Royal Flying Corps pilots to take the photographs (their death rates were higher than soldiers in the trenches) and the work of the tunnellers, who set off massive underground explosions (leaving craters still visible today) to try and gain a military advantage. The size of the 29 simultaneous explosions at Messines, near Ypres, was so great it "rattled the teacups in Downing Street". Highly recommended viewing for this Remembrance Week. 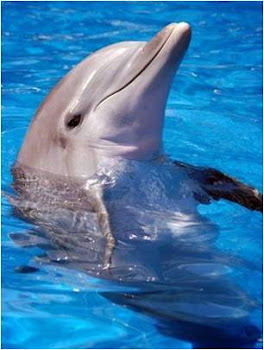 PS: More examples of the photography can be seen here and here. 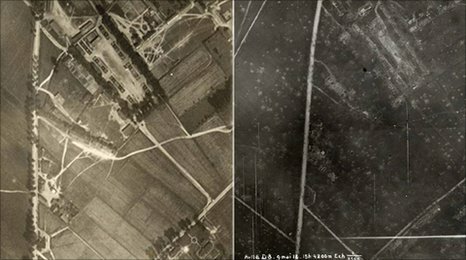 The photo at the top of this post shows a German barracks (identified by the British by the flowerbeds the soldiers had dug to amuse themselves) before and after it was shelled. 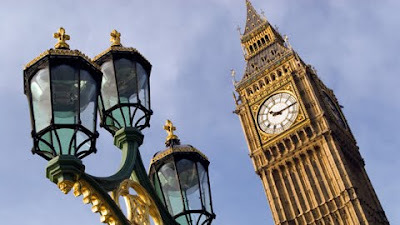 Is Britain a Liberal Democracy? The Year 12 Politics group (and the fruit machine) have been debating today whether Britain can be described as a truly Liberal Democracy. What are your opinions? Please add them below, plus any links of interest. Happy Bonfire Night! 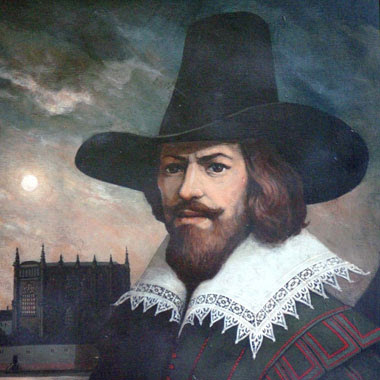 To celebrate the 405 anniversary of the Guy Fawkes' failed plot to blow up Parliament, here is a quiz from the BBC, a biography of Guy Fawkes, and a link to the Gunpowder Plot Society's home page. Have a good weekend and enjoy the fireworks! 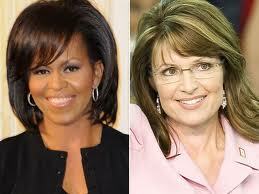 It has been claimed 'The Year of the Conservative Woman' or Mama Grizzlies as Sarah Palin would say conservative women were. What does this really mean? Certainly the elections today will not mean more women in Congress. In fact, there will be fewer if the Republicans make the gains expected - possibly even the lowest number for 40 years. Are they advocating women's rights? They tend not to focus on women's traditional issues and put forward more traditionally male issues such as the concern about the deficit and taxation. Is this post-feminism as claimed in this US News article? Certainly, Democrat women do not see it that way. They argue that repealing healthcare is not helpful to women and the children that the mama grizzlies have supposedly reared up on their hind legs to protect. Michelle Obama in her recent speech for Harry Reid was forceful in her refutation of this argument. The Times have a good article on these arguments which will be up in the Study Room tomorrow. ps on American women, see here for the story of Dilma Rousseff, who has just won the presidency of Brazil. This Guardian article highlights 10 of the more tactless ads put out during the midterm election, including Christine O'Donnell's "I am not a witch...I'm you" video (above), and a rather creepy (and xenophobic) ad from the "Citizens against public waste (below). You'll need Youtube access to watch these, but let us know what you think! PS: Here is a good comment on the significancd of the midterms from Mark Mardell, plus a good round-up of stories from the BBC. Here is Comedy Central (Home of the Daily Show)'s election site, and analysis of their recent "Rally to restore sanity"
Ted Sorensen, John F Kennedy's speech writer, has died. He cooperated with JFK to write such famous lines as "Ask not what your country can do for you, ask what you can do for your country" from the President's inaugural speech. His close relationship with Kennedy was particularly important during the Cuban Missile Crisis of 1962, when he drafted with Bobby Kennedy a letter to Nikita Khrushchev. This careful piece of diplomacy ignored some of Khrushchev's harsher comments but agreed to remove missiles from the US base in Turkey, persuading the Soviets to withdraw their missiles from Cuba. "That's what I'm proudest of," he once said. "Never had this country, this world, faced such great danger. You and I wouldn't be sitting here today if that had gone badly." 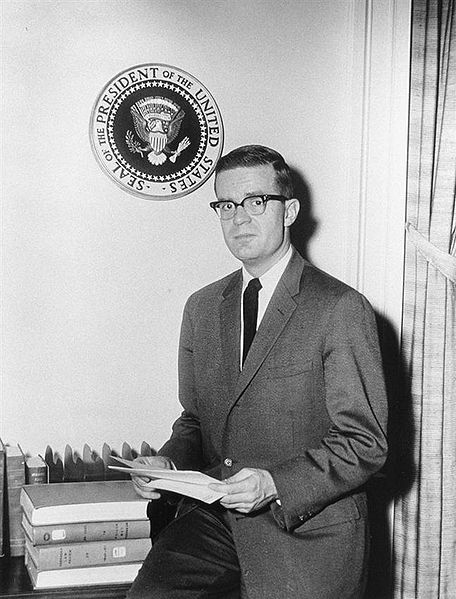 You can read more about Sorensen here, plus his comments on Kennedy's inaugural speech here. 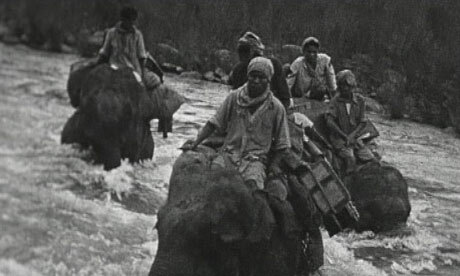 An amazing story has emerged today of how a British tea planter rescued hundreds of refugees fleeing the Japanese in Burma in World War 2 using a team of elephants. Gyles Mackrell learned in summer 1942 that British soldiers and civilians were trapped the other side of a swollen river, surviving on rations dropped by the RAF. He believed his team of elephants could be used to rescue them so he trekked 100 miles through the jungle in a week. The river crossing was incredibly dangerous and the elephants and their handlers "took terrible risks being washed away and broken to pieces". Over 200 people were saved and he was given the George medal for his courage. You can read more about the story here and watch archive footage here.